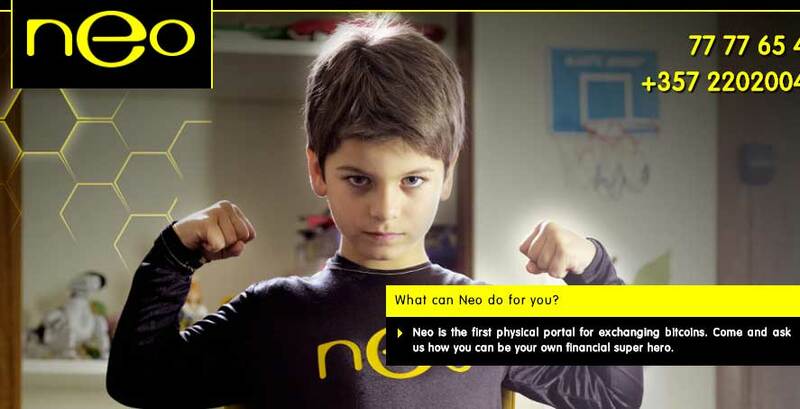 After years of total silence, failed bitcoin startup Neo & Bee is finding its way back into the spotlight for doing the one thing no one expected: Repaying investors. Last month, the long-shuttered “bitcoin bank” sent out emails inviting shareholders to access a new “redemption portal” for “NEOBEE” tokens. (Full disclosure: This reporter owns a small number of NEOBEE tokens.) The move came as a shock to many former investors, as Neo & Bee has been in a state of legal limbo since the spring of 2014. A screencap from Neo & Bee’s long-defunct website. That wasn’t the only surprise. According to the site, the tokens soon will be redeemable for bitcoin, pulling from a pool of funds from liquidated Neo & Bee assets. Call it a “reverse ICO.” Neo & Bee investors can claim tokens from their existing shares in company. The redemption value is calculated by the total funds available, divided by the total amount of outstanding tokens. Once all the NEOBEE tokens have been redeemed, the sun will set on the Neo & Bee story. That’s the goal, at least. Although NEOBEE tokens are not currently redeemable, Neo & Bee Founder Danny Brewster recently claimed on Reddit that this would change in a matter of weeks as the company’s accounts are settled and assets are sold. According to the redemption portal’s website, redemption values are capped at 0.0035 bitcoins per token. The site also allows users to directly trade tokens for BTC with one another, with the platform acting as an escrow agent. While IOU-like crypto tokens have been issued before — most notably the BFX tokens issued after Bitfinex’s high-profile 2016 hack — the Neo & Bee move appears to be a first. Given the company’s complex and controversial history, Neo & Bee’s attempt to make things right with investors may be most surprising twist of all. Many have claimed that the company was, at best, highly negligent with investor funds, while others believe it to have been an outright scam. This latest development — which seeks to settle those outstanding debts — adds yet another chapter to the Neo & Bee saga. Neo & Bee opened its first brick-and-mortar office in February of 2014, backed by a heavy marketing campaign and significant interest from both inside and outside the cryptocurrency community. From the start, however, there were problems. Even though their office was open and the staff were on the clock, Neo & Bee couldn’t conduct business due to legal uncertainties. Within a matter of weeks, rumors began to surface that the company was cash-strapped and in deep financial trouble. These rumors would soon prove to be well founded. In late March of 2014, following claims of “questionable trading activity,” the Havelock froze trading of the company’s shares. The situation worsened a few days later, when Brewster quietly left Cyprus to “raise additional capital,” leading to rampant speculation about the solvency of the company. The Neo & Bee office quickly closed, and Brewster soon faced fraud charges, criminal investigation, and damning accusations from unpaid employees and creditors in Cyprus. Although Brewster insisted he was innocent of any wrongdoing, many Neo & Bee shareholders remained unconvinced. Although not directly tied to the collapse of Mt. Gox, Neo & Bee’s situation was almost certainly made worse by the plummeting BTC prices caused by the exchange’s failure. When NEOBEE trading was eventually resumed on April 5th, investors were more than ready to sell. In a matter of hours, NEOBEE shares dropped from a frozen price of 0.00185 BTC to just 0.0001 BTC, or roughly $0.05 each. (At Neo & Bee’s height, shares traded at 0.0029 BTC.) Holders and buyers did even worse, however, with Havelock soon re-freezing NEOBEE’s shares before delisting them entirely. There have been periodic claims issued by the principles in the Neo & Bee fiasco, but it’s still not entirely clear why the company failed, or if any criminal wrongdoing was involved. Brewster has long been portrayed as the villain of the story, particularly by his former staff, but his current attempts to make investors whole does cast doubt on that narrative. If anything, Brewster seems to want to put Neo & Bee behind him. As he wrote on Reddit last week, “The whole thing needs a nail putting in the coffin once all tokens are redeemed.” If the Neo & Bee reverse ICO is successful, that may just happen.